Lake Union Publishing, 9781503949287, 254pp. 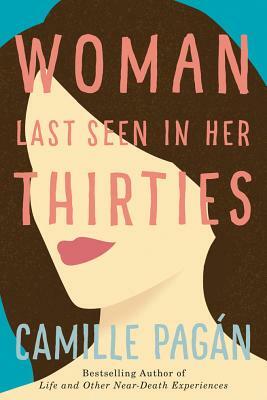 From bestselling author Camille Pag n comes a hilarious and hopeful story about a woman on the verge of a nervous breakthrough. At fifty-three, Maggie Harris has a good marriage and two mostly happy children. Perpetually anxious, she's also accumulated a list of semi-reasonable fears: falling air conditioners, the IRS, identity theft, skydiving, and airbag recalls. But never once did Maggie worry that her husband of nearly thirty years would leave her. On the day Adam walks out the door, everything that makes Maggie secure goes with him. Only then does she realize that while she's been busy caring for everyone else, she's become invisible to the world--and to herself. Maggie cautiously begins to rebuild her life with a trip to Rome, a new career, and even a rebound romance. But when a fresh crisis strikes and an uncertain future looms, she must decide: How much will she risk to remain the woman she's just become?